Allegations that those users participated in the DDoS — a method of over-loading a website with too much traffic — are currently unverified, and @AnonymousOwn3r has previously taken credit for downing websites in a similar fashion, although those claims have been largely contested. The crippling of NSA.gov comes amid a series of damning national security documents that have been disclosed without authorization by former intelligence contractor Edward Snowden. 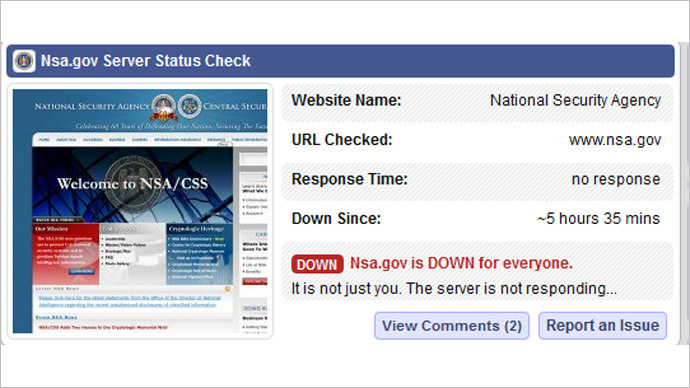 The shutdown of the NSA’s site amid the unfolding surveillance scandal caused a flurry of jokes from netizens. One ironic tweet said: "Don't panic. They have a backup copy of the internet." The revelations in the leaked documents have impassioned people around the globe outraged by evidence of widespread surveillance operated by the NSA, and a massive “Stop Watching Us” rally is scheduled for Saturday in Washington, DC. 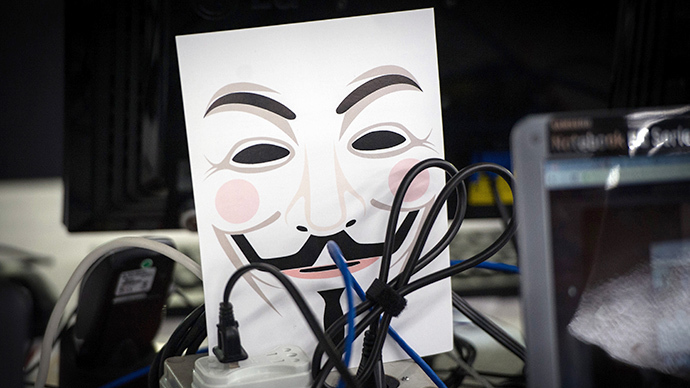 DDoS attacks are illegal in the United States under the Computer Fraud and Abuse Act, or CFAA, and two cases are currently underway in California and Virginia in which federal judges are weighing in on instances in which members of Anonymous allegedly used the technique to take down an array of sites during anti-copyright campaigns waged by the group in 2010 and 2011. In those cases, so-called hacktivsits are reported to have conspired together to send immense loads of traffic to targeted websites, rendering them inaccessible due to the overload. An NSA spokesperson told ABC News they are “looking into the Issue,” but said the spy agency’s internal network was “not at all” bothered, nor was any classified information in danger. The spokesperson would not comment on the cause of the website’s issues, though in a separate statement to Circa the agency denied that the site had been subjected to a DDoS attack. "NSA.gov was not accessible for several hours tonight because of an internal error that occurred during a scheduled update. The issue will be resolved this evening. 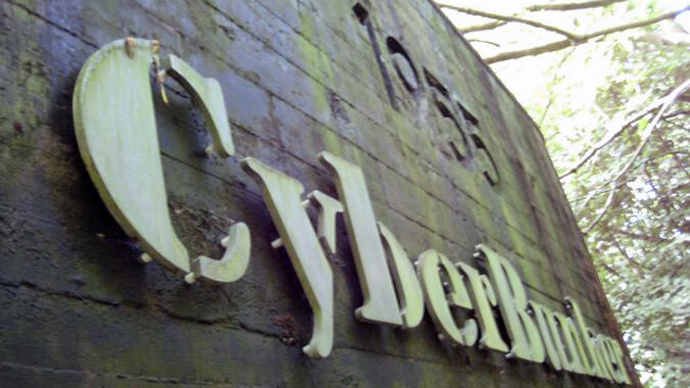 Claims that the outage was caused by a distributed denial of service attack are not true."